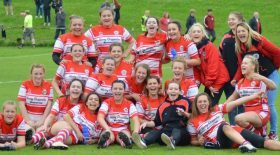 Featherstone Lions ARL is a first rate club based in Featherstone West Yorkshire it boasts an impressive number of teams ranging from the under 7s all the way up to men’s open age, including a hugely successful girls section. It was only natural then, back in September 2018, that the Lions club decided to make history and create their first ever Women’s Open Age team. Lots of hard work went into recruiting players to add to the already impressive [previous season’s] under 16’s girls team. In the coming weeks before the Women’s Amateur Rugby League (WARLA) commenced, a number of women attended numerous sessions run by Lions multitasking coach Les Blackburn, Jodie Blackburn, Joe Westwood and Lions front man Dave Downs. 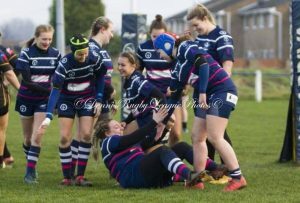 The start of the season loomed and, as a new outfit, the team were surprised to be entered into the top tier of the women’s competition but they grasped the challenge with both hands! 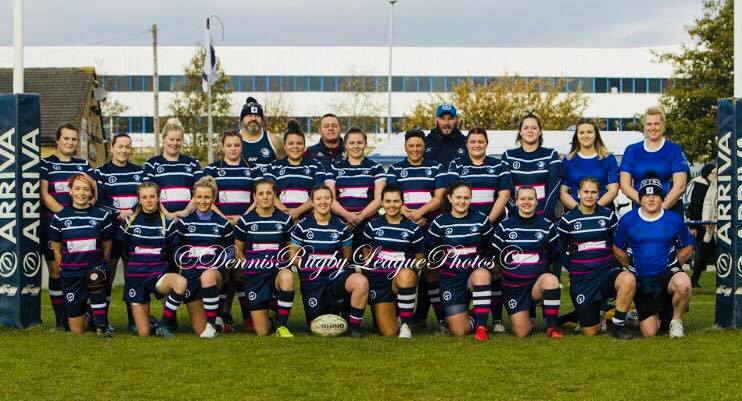 A preseason friendly against the established East Leeds team saw Featherstone impressively steal their first ever win, that showed how much potential was in this group and would start to cement their path to become a top team in Women’s Rugby League. The season began on the 21st October and saw another emphatic win for the Lionesses, beating WARLA veterans Thornhill Trojans 60-8 and was the foundation of a spectacular first ever season for the Featherstone Lionesses. The team had gelled instantly and grew from strength to strength, showing pure grit and determination as they ground out win after win, even against established and impressive looking opposition such as Huddersfield St Joes and Keighley Albion. The cup games followed the same pattern, seeing the Lionesses take the wins and advance through the rounds, making it all the way to the WARLA Challenge Cup Final. These performances showed what a formidable team the Lionesses are as they went through the season with not only a 30+ point average per game, but also unbeaten. This meant the Featherstone lionesses topped the table and came out of their first ever season as Premier Division Champions. The fight is now on to be crowned Challenge Cup Winners as they face uncharted ground against Division 1 Champions, Orrell St James. This match promises to be a tasty occasion when they face each other for the first time on 21st April Easter Sunday at the LD Nutrition Stadium. 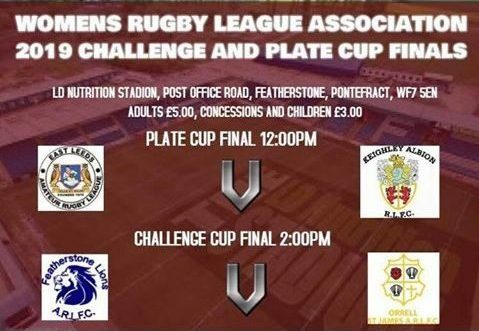 The Cup Final will commence at 2pm and will follow the Challenge Plate Final between East Leeds and Keighley Albion, which kicks off at 12pm. All in all it promises to be a spectacular day for Women’s Rugby League. Admission into the ground is £5 for Adults, £3 for children and concessions. Two amazing games and four spectacular teams will be on display in the final conclusion of the WARLA 2018/2019 season.